A commitment to chronic care management (CCM) not only offers providers additional revenue via Medicare Chronic Care Management reimbursement but also can be a stepping stone to patient-centered care models like the medical home or accountable care organization (ACO). 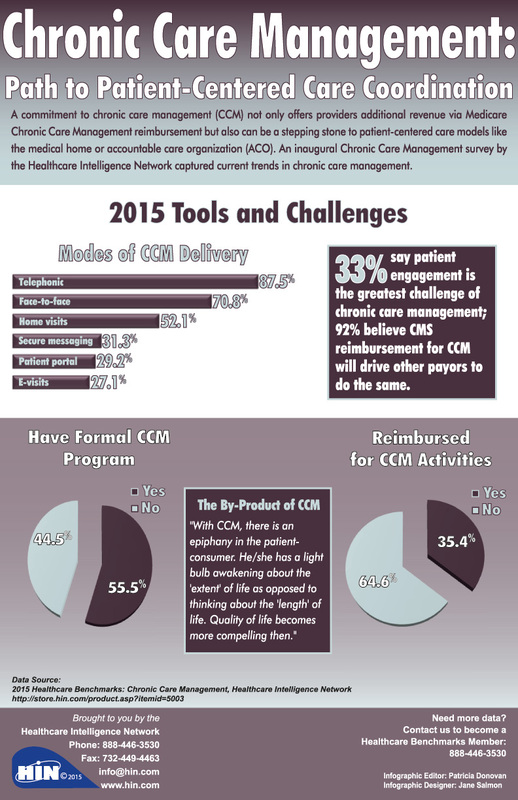 An inaugural Chronic Care Management survey by the Healthcare Intelligence Network captured current trends in chronic care management. Register for 12 months of healthcare benchmarks with our Benchmark Membership...a $500 savings over one year! When Arcturus Health Care did the math, CMS's new Chronic Care Management (CCM) code added up to a potential $100,000 per month in revenue for its four physician practices, or $1 million annually, said Arcturus's Clinical Quality Assurance Manager Debra Burbary, RN. Having successfully billed Medicare for a half dozen patients enrolled in CCM, listen to Ms. Burbary outline the development of the patient care plan and establishment of patient goals—two CCM requirements facilitated by Arcturus’s electronic health record (EHR). 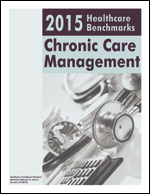 More information on this topic can be found in: 2015 Healthcare Benchmarks: Chronic Care Management, which captures tools, practices and lessons learned by the healthcare industry related to the management of chronic disease.